Over the past few weeks I've been reading quite a few Arthurian books. I finished The Dark is Rising Sequence, I read The Lost Years of Merlin by T.A. Barron, and I'm about to start A Connecticut Yankee in King Arthur's Court by Mark Twain. Part of the reason is that I'm trying to finished the list I had lined up for the Arthurian Challenge before the end of the month. The Lost Years of Merlin also counts for the Dewey's Books Challenge, since it was her review, particularly her comments about the beautiful language and the author's love of nature, that made me pick it up. 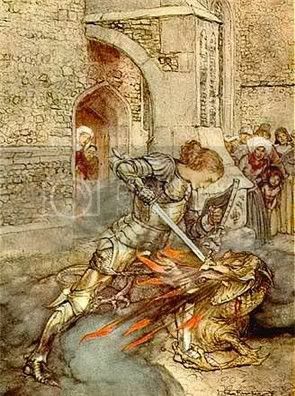 I like the fact that even though they are often associated with a traditionalist sort of nostalgia (and fair enough, some of them are in that vein), Arthurian retellings can be used as points of departure for addressing all sorts of topics: the role of women, power, war and violence, religion, etc. So you get retellings that turn everything we think we know about these myths upside down, and they're often the most interesting ones. ...antiquity has an appeal in itself. The beauty and horror of The Juniper Tree (Von dem Machandelboom), with its exquisite and tragic beginning, the abominable cannibal stew, the gruesome bones, the gay and vengeful bird-spirit coming out of a mist that rose from the tree, has remained with me since childhood; and yet always the chief flavour of that tale lingering in the memory was not beauty or horror, but distance and a great abyss of time, not measurable even by twe tusend Johr. Without the stew and the bones - which children are now too often spared in mollified versions of Grimm - that vision would largely have been lost. I do not think I was harmed by the horror in the fairytale setting, out of whatever dark beliefs and practices of the past it may have come. Such stories have now a mythical or total (unanalysable) effect, an effect quite independent of the findings of Comparative Folklore, and one which it cannot spoil or explain; they open a door on Other Time, and if we pass through, though only for a moment, we stand outside our own time, outside Time itself, maybe. This sense of standing outside time has quite a hold on me. As with fairy tale retellings, and myth retellings in general, I like how they feel both familiar and new. The bits that are new surprise you; the ones that are familiar are comforting, and allow the story to resonate in a deeper way. When I start reading a new retelling, I think I know how it will go. Sometimes I'm right, sometimes I'm wrong, and both experiences are rewarding in different ways. I like the fact that they often fill the gaps in the old stories. We can't possibly know everything about every character, and that leaves rooms for completely new stories to be told. I like seeing new takes on familiar characters. When I think "Morgan le Fay" or "Merlin", I think of the characters from the myths, but also of all the versions I have encountered in different retellings. (I also think of Rhinoa's cats.) My inner Morgaine, my inner Merlin, are a combination of all of these, and every new take I read reformulates them. In a similar vein, I like the fact that newer retellings often take older ones into account, and so each new take on these stories feels like part of a conversation. The Queen of the Western Isle by Rosalind Miles - first book in a trilogy about the tale of Tristan and Isolde, which is perhaps the Arthurian story I know the least about. Guenevere, Queen of the Summer Country by Rosalind Miles - also the first in a trilogy. This series interests me because I've heard it doesn't villanize Guenevere. The Dragon and the Unicorn by A. A. Attanasio - this has been on my wishlist for so long I have forgotten why it's there. But look, doesn't it sound good? From PW: Known for science fiction (Radix) as well as for the Arthurian (Kingdom of the Grail), he combines the Round Table and black holes, gods and alternate time lines, to produce a world full of both mythology and history, reworking familiar elements in new ways. Rich thematically as well, the story presents inevitable cycles of pain, death, learning and redemption as Ygrane, Uther, Morgeu the Fey and Merlinus, joined by various pagans and Christians, fight for the soul of their land. Knight Life by Peter David - a story about a modern day Arthur who becomes Mayor of New York City. According to PW, this hilarious romp in today's New York features a cast of zany characters, zippy dialogue and enough action and plot twists to satisfy most satirical fantasy fans. If it's half as good as Tigerheart, I'll be very happy. Here Lies Arthur by Philip Reeve - I'm very curious about this recent YA retelling, which won the 2008 Carnegie Medal. Love your Wordle! It's so happy! Okay, time for this week's embarrassing admission...I don't have any favorite Arthurian retellings, because I don't even know the original. I know, I know...that is horrendously pathetic. (Notice, I did not say "I" am pathetic, just that my knowledge in this area is pathetic...keeping my promise here.) I've often wanted to explore Arthurian legend, but truthfully just don't know where to start. Okay, end of embarrassing admission. Have a wonderful, wonderful week, Nymeth! I like Arthur books too and for most of the reasons you list. For a couple of more perspectives, read Stephen Lawhead's Pendragon Cycle and Bernard Cornwell's Arthur books. I'm with Debi. 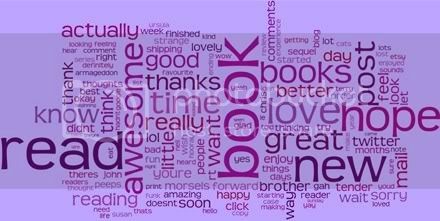 I know nothing about Arthurian retellings, but love your Wordle;-) Have a great week! A few weeks back I read, for the first time, The Once and Future King. Splendid. I'm not sure I've read any other Arthur books. I should seek them out. Sadly my reading of Arthurian legends/stories/retellings has all been limited to what I've read in school. I do love the myth surrounding Camelot and King Arthur, but I guess I've just never gone out of the way to read anything on my own. You reviewed a book several months ago that I remember jotting down the title (I'll have to dig it up! ), so maybe I need to start scouring the used book stores to see what I can find (the only thing I own is Idylls of the King). Your wordle is beautiful! Happy reading! I've only read one Arthur retelling and that was The Kingmaking by Helen Hollick. I read it recently and was entranced with the story enough that I want to read more. I'll have to check the books on your list out! Hmm. Have you read The Book of Joby? That's an Arthurian retelling or I'll eat my hat. I am looking forward to hearing your thoughts on A Connecticut Yankee--Mark Twain is great! In my head, I think I really like Arthurian literature, but in reality, I've read very little. I've read The Crystal Cave (isn't that part of a series), but I don't know if that really counts? I'm reading, The Lost Years of Merlin, soon and really looking forward to it. (and thanks for reminding me that it counts for The Dewey Challenge). I've read, Here Lies Arthur, and it's an excellent, if different retelling of the story. I think I may have read one Arthurian book when I was younger and I adore the movies (especially the ones adapted from books- go figure). What would you suggest for a beginner? I was thinking of going with TH White as its his story Disney's Sword in the Stone is based on. I think I've mentioned before that I tend to shy away from Arthurian retellings. I count Mists of Avalon among my favorite books, however. great six reasons! The only Arthurian book i've read so far is The Kingmaking, and I did enjoy it. Want to hear something really funny? One of my most used twitter words was "@nymeth" LOL!! My first and favorite retelling is Once and Future King by T.H. White but I also loved The Crystal Cave and The Hollow Hills by Mary Stewart. Have you seen the movie "Excalibur"? I don't think I'll be able to finish up--and I'm the host--oh well! I like what few I've managed to read so far! I am thinking of having the challenge again for next year! I really haven't read many Arthurian retellings. I might have to check some of these out. BTW, thanks for the indexing suggestion (and the compliment!) 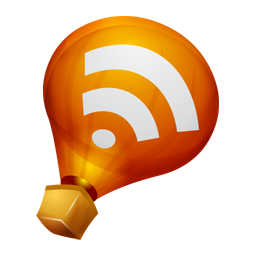 --I had actually thought about that after taking a closer look at your blog because I liked your formatting, layout, etc. :-) I will be working on that in the near future! It's funny _ for some strange reason the cooling weather here makes me want to pick up The Dark is Rising ... I have no idea why. I've got to admit, I have trouble with Arthurian retellings, and I'm not sure I can pinpoint the reason. I loathe Lancelot, (mostly for his I'm-the-best-thing-ever-and-don't-you-know-it attitude), and I suppose that might play a role, but mostly I just don't think I've found the right one for me. I loved THE DARK IS RISING when I was a youngster, but I found myself unable to reread the series as an adult. I didn't even make it halfway through THE MISTS OF AVALON. I did like Lerner & Lowe's Camelot, though, (except the bits with Lancelot... which I guess is rather a lot of it), and I enjoyed Guy Gavriel Kay's FIONAVAR TAPESTRY and it's Arthurian ties. I also love re-tellings. My favorite book is the retelling of the myth of Atlas. I too love the legends of King Arthur and have enjoyed many reads over the years that are centered around these legends. These books sound like they would count for Once Upon a Time III as well. I love Arthurian retellings and can't stop myself from reading as many as I can get my hands on. Loved Lawhead's book, I would love to read Here Lies Arthur, and I really enjoyed all of Nancy Springer's books about Mordred. Mists of Avalon is still my favorite though. Very interesting post - thanks Nymeth. I was going to suggest MISTS OF AVALON but I'm guessing that you've already read it (based on the comments above). It is one of my very favorite books. I actually got my book club to read it (more like, I dragged them kicking and screaming, but they did read it). And THE DARK IS RISING series is already on my TBR list - can't wait to finally pick it up! Debi: Thanks! I worry it sounds fake cheery, but I guess I mostly tweet about thinks I'm excited about :P As for Arthurian legend, you could start with King Arthur and his Knights of the Round Table by Roger Lancelyn Green. It's a condensed version, of course, but it works well as an intro. Beth: I've heard of those two, but haven't read them. Thanks! debnance: Splendid indeed! One of my favourites. Trish: Was that I Am Morgan le Fay? I think it was the last one I read before this week. I really recommend it! Samantha: I've seen some recent reviews of that book, and it sounds different but interesting still. Claire: Thanks :D I loved The Once and Future King too. I know a lot less when it comes to movies, though...what would you recommend? Renay: I haven't, no. Someone recommended that Merlin series recently, but I can't remember who it was. But gay subtext! I like it already. I don't mind departures from the most established versions of the myth as long as the result is a good story. Laura: He is! I should read more of his stuff. I loved Tom Sawyer and Huck Finn, but that's all I've read. The Crystal Cave counts, yes! Mary Stewart's retellings are among the most well-known. Miss D: The Once and Future King is wonderful...one of my very favourites. 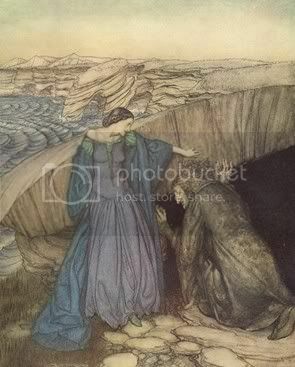 I definitely need to read more stories about Tristan and Isolde. I'll probably start with the Rosalind Miles series. Bart, hope you enjoy it! And I'm glad to hear you recommend Here Lies Arthur. Naida: I've seen some good reviews of that one lately. Gavin: I still haven't read the Mary Stewart series, but I need to! I haven't watched the movie either. Should I? Becky: I vote yes for a second round! Memory: Yeah, hating Lancelot wouldn't help :P He's not a favourite of mine or anything, but I don't hate him either. Though I can see what you mean perfectly. I didn't know The Fionavar Tapestry had Arthurian ties! One more reason to read it. My favorite Arthur retelling is the Once and Future King. I also really like The Mists of Avalon, and Mary Stewart's books. I haven't read any of the ones you mentioned- more for my list! Carl: You're right; they would! Melody: There are some great ones out there! tanabata: Yep, someday for me too :P And thank you! Staci, sounds like I need to get my hands on Lawhead's books! I can't pick between Mists of Avalon and The Once and Future King as my favourite...both are so good. Terri B: Thank you! I've read mists, but not the Mary Stewart series. I need to change that! Jeane: Mary Stewart's series is the only one of the "big" ones I've yet to read. Need to change that! I'm failing miserably at my Arthurian challenge! It's quite sad as I love Arthurian retellings, and am interested in all the books on my list, yet I've only read 3 of them since April, and abandoned one part way through. I'm hoping it is simply because I cannot focus my reading at the moment. The Lost Years of Merlin is on my list for Dewey's Challenge, so I hope to get to it sometime soon. I think you'll enjoy Rosalind Miles, Isolde is a nice retelling. I'd like to read more Arthurian books, it's such a fascinating topic. For all the reasons you've listed. The only book I've read on your list is Here Lies Arthur. Your wordle is so positive!